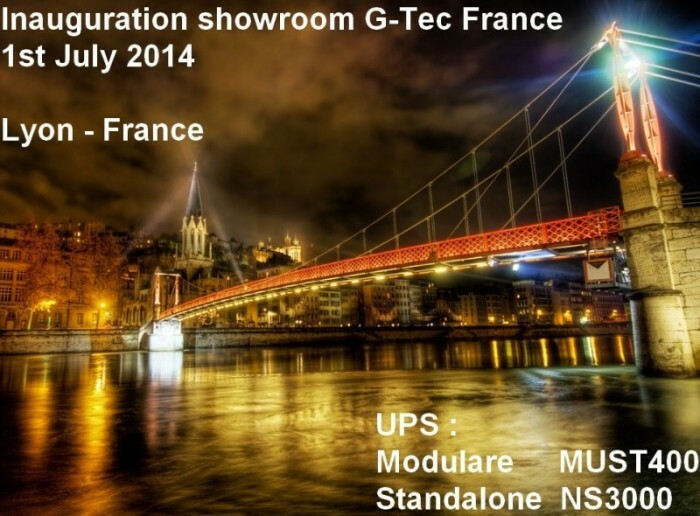 The 1st of July 2014 took place the inauguration of the new Gtec Showroom by Gtec France. Gtec France invited partners and customers to the introduction of the new UPS series by Gtec: NS3000 and the modular UPS MUST 400. The day was divided into three important moments: one of technical presentation, one of interactive workshop, and one dedicated to questions and curiosities. The showroom would be an opportunity to do technical formation and to see how these new UPS series work. Particularly, it is possible to appreciate their high quality and technology. Another Showroom open-day is coming soon at the end of 2014.